A cultural centre located within an informal settlement, Rodrigo Bueno, in south-east of Buenos Aires city. Placed by the Río de La Plata, the project borders an ecological reserve and the luxurious barrio of Puerto Madero. For this reason, the centre serves as an articulation between the different cultural and natural landscapes. This project is created as a public space that responds to the socio-economic setting and increases the value of the community by meeting its cultural needs. 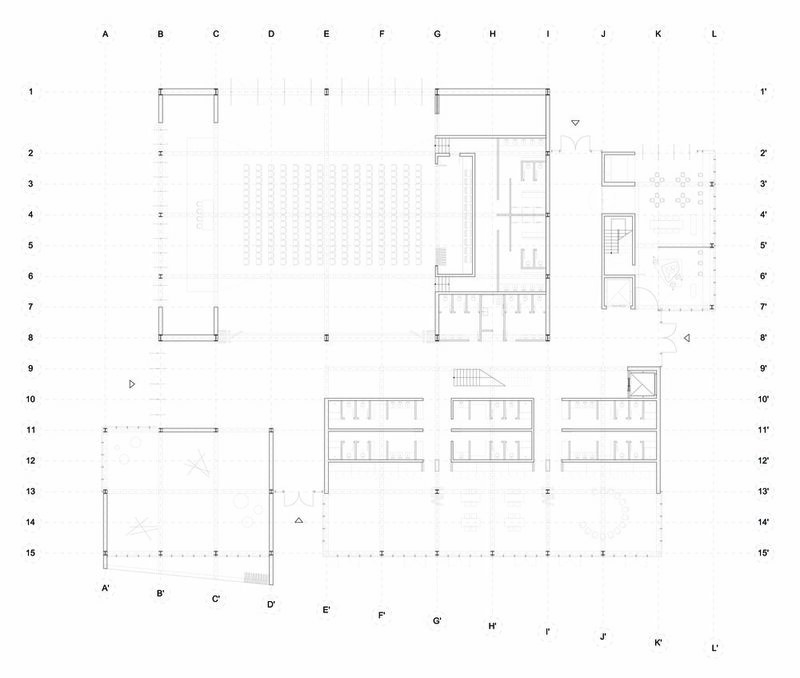 It is designed as a four-module structure, inspired by the fragmented organisation of the settlement in blocks. Each volume has a themed approach related to either a cultural aspect or a natural element surrounding the community.